Opiate use can quickly develop into opiate abuse due to an increased tolerance for the drug. Those who take higher doses of their medication or who mix it with another sedative substance are abusing the drug, although many do not actually realise this. There are various symptoms and warning signs associated with opiate abuse: knowing what these are can help prevent you from slipping down the slope to addiction. When does use become an addiction? As an opioid addiction could occur without you ever realising, it is important to be alert to the signs of abuse and dependence. By knowing what to look out for, you might be able to spot when your use of opioid drugs progresses from therapeutic use to problem use. This would then hopefully help to prevent an addiction before it occurs. When Does Drug Use Become Drug Abuse or Addiction? In the case of opioid medication that has been prescribed for you, sticking to your prescribed dose is considered safe. However, if you begin taking more of the medication than the recommended dose, you then become guilty of prescription drug abuse. It can be difficult for most people to recognise when drug use becomes drug abuse or addiction. This is especially so in the case of prescription medication like opioids as most just do not understand what abuse constitutes. For example, did you know that taking medication prescribed for another person is classified as abuse – even if you take the recommended dose? Taking higher doses than those recommended by your doctor is also classed as abuse, yet most people do not see any harm in increasing their dose, especially if they feel as though they are not getting the same relief as they once did from the original dose. Others might take things a step further and begin mixing their medication with another substance such as alcohol or another opioid in a bid to enhance the effects. This too is classed as abuse. Regular abuse of prescription medication increases the risk of addiction. When a physical dependence occurs, you are likely to experience withdrawal symptoms when trying to quit the medication. You might also notice these symptoms in between doses. Once a physical dependence does occur, the risk of addiction increases quite dramatically. Most individuals get caught in a cycle of abuse and withdrawal, and as their need for their medication then increases, they find it harder and harder to function without it. Upon becoming addicted, the affected person will feel compelled to use the medication even when knowing that doing so is having such a negative impact on daily life. Opiate abuse and addiction can have a profound effect on everyday life. Once an addiction has taken hold, you might, for example, start to prioritise opioids in favour of everything else in your life. Your health might be negatively affected, and you may find it increasingly difficult to feel normal without your medication. Long-term abuse of opiates can result in various mental and physical health problems including liver disease and damage to certain parts of the brain. There may also be additional negative effects on other areas of your life. Your relationships might suffer, and you may notice a negative change in your finances. If someone you love has been abusing opiates, you are very likely to notice changes to his or her behaviour. This individual may begin to lose interest in things that he or she used to enjoy and might become increasingly more isolated as opiates become a priority in his or her life. As addiction takes hold, your loved one is likely to do anything to get his or her hands on opiates. This might include borrowing or stealing from family members or friends, or visiting multiple doctors for repeat prescriptions. If the person cannot get opiates from a doctor, he or she might then start ordering tablets online, or may even turn to street drugs in a bid to satisfy his or her craving. Addiction can have a terrible impact on the behaviour and actions of affected individuals, but more often than not, those affected are unable to see the damage being done. It is usually family members or friends who notice the changes in the first instance. The impact on everyone close to the addict can be huge and is the reason that addiction is so often referred to as a family illness. Drug addiction can seriously affect your behaviour and cause you to act in a way that you would never have dreamed of beforehand. In the early days of addiction, you might become secretive and withdrawn as you try to hide what you are doing from those around you. This may cause an increased need for privacy and you may start to isolate yourself from the people you love for fear they will discover your secret. The constant cycle of abuse and withdrawal that you are caught in might start to cause mood swings, where you will be euphoric one moment and depressed the next. You could become more aggressive and irritable as certain parts of your brain are negatively affected. Your ability to control anger may become affected, and you might become more prone to instances of rage. You are likely to lose interest in anything that is not related to the substance you are addicted to. Spending time with family members and non-drug taking friends might interfere with your substance abuse, which is often the precursor to neglecting the people you love. You might also start taking risks in a bid to get your hands on the substance you crave; this can include stealing from loved ones or resorting to other types of criminal activity. Opioids work by attaching to opioid receptors in the brain. There are a few different receptors that opioids affect, and these are responsible for emotions, sensations, and certain bodily functions. When opioids attach to receptors in the limbic system, for example, they can create feelings of relaxation, happiness, and euphoria. The brainstem is the part of the brain that is responsible for automatic functions such as breathing. Opioids work to slow down breathing and heart rate. Another area that is affected by opioids is the spinal cord, which is where body sensations are received before being transferred to the brain. When opioids affect this part of the body, they can help to relieve pain. When you develop an addiction to opioids, the way in which certain areas of your brain work are affected. Repeated use of opioids can make the brain’s receptors less responsive to them. When this happens, more opioids are required while the brain’s reward centre learns to associate the drug with positive feelings. 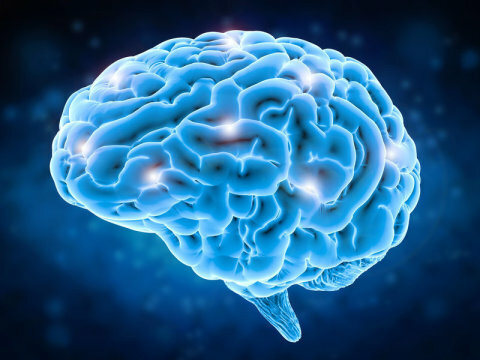 The brain then rewires itself around the drug to the point where it no longer functions normally without it. Anyone taking opiate medication needs to be alert to the risk of overdose and should take steps to prevent it. The best way to avoid an overdose is to ensure that you never take more of your medication than advised to by your doctor. Moreover, you should not take more than one opiate at the same time or mix them with other sedative substances such as alcohol or benzodiazepines. If you are struggling with an addiction to opioids, your risk of overdose will be higher than someone who is taking their medication at the recommended dose. It is important that you seek help as soon as possible as doing so could help to prevent you eventually suffering an overdose. Opioid abuse is becoming increasingly common among teenagers as many are experimenting with drugs they believe to be safe. The fact that opioids are prescribed by doctors can often give teenagers the idea that they are a harmless way to get high. 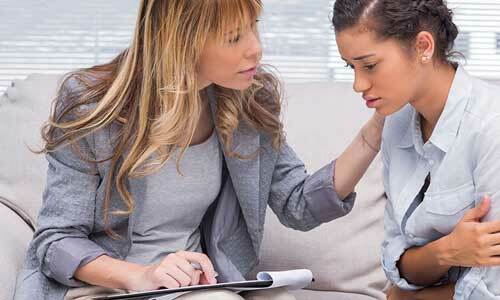 It is therefore important to be alert to the early warning signs of teen opiate abuse. You might notice that your teenage son or daughter has started to act differently lately, and this could be due to substance abuse. Look out for mood swings that are out of the ordinary. You might notice that your teenage child goes from being euphoric to drowsy or irritable; if this is coupled with slow breathing and constricted pupils, you should be concerned. You may also notice that he or she is acting confused from time to time and that his or her school work is suffering. If there is no apparent reason for a loss of interest in social activities that were once important to your child, and if he or she has a new circle of friends, it is important to raise your concerns sooner rather than later. When opiates are abused, behaviour can change dramatically. If you are the affected individual, you might, for example, begin engaging in risky behaviours such as driving or operating heavy machinery while under the influence of the medication. You might become impulsive in your decision making and you may start to spend a lot of your time either taking the medication or thinking about how to obtain it. You could start neglecting your responsibilities at home and at work, which might be having a negative impact on your relationships with the other people in your life. As your need for the medication increases, your behaviour may become more erratic and you might start to become desperate to feed your habit. This could then lead you to steal from others or engage in petty crime (or worse). When you develop a physical or psychological dependence on opiates, you are likely to experience withdrawal symptoms should you try to quit or cut back on the medication. This is because over time your brain and body learn to rely on opiates for ‘normal’ functioning. When you suddenly stop taking the medication or significantly reduce your dosage, you will probably experience a range of unpleasant symptoms that could make you feel quite unwell. Symptoms tend to be mild, moderate, or severe in intensity and usually start off mild before progressing and reaching their peak. Mild symptoms tend to include anxiety, yawning, sweating, runny nose, and trouble sleeping. 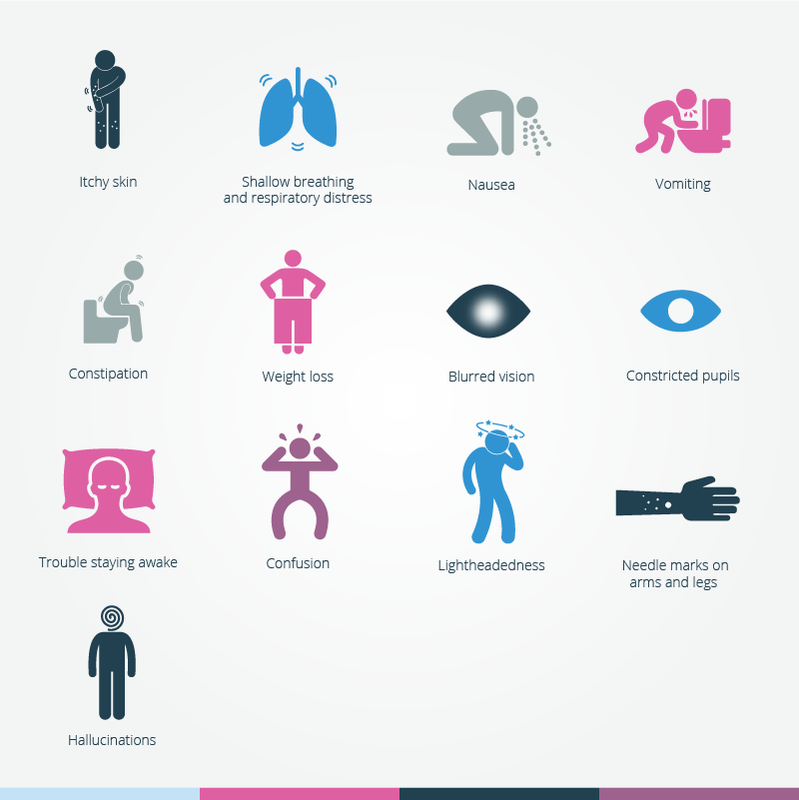 The worst symptoms often include high blood pressure, fever, rapid heartbeat, rapid breathing, and diarrhoea. Opiate withdrawal is different for each person though and it tends to be influenced by the type of drug that was abused, how severe the addiction is, and whether there are any medical problems or not. How do drug abuse and drug addiction develop? 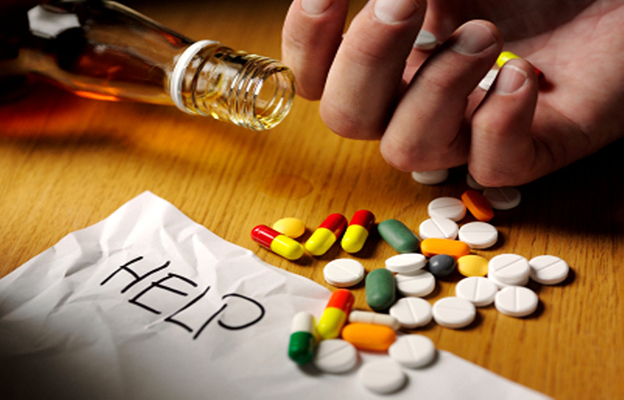 Drug abuse often occurs unintentionally, particularly in the case of prescription drugs such as opiates. When medication designed to relieve pain becomes less effective, as so often happens with opiates, the natural response might be to increase the dose. Many people do not realise that this is a form of drug abuse and believe that because they have been prescribed opiates by a doctor, these medications are completely safe. As the person builds up a tolerance to the effects of the drug though, he or she will need more of it to achieve the same level of relief. Unfortunately, increasing the dose can result in a physical dependence and a cycle of abuse that can be difficult to break. This is usually when an addiction develops. How to know when your teen has a drug problem? It can be difficult to know when teenagers are abusing drugs because many of the signs and symptoms associated with drug abuse are also considered ‘normal’ behaviour for teenagers going through emotional and physical changes. It is important not to jump to conclusions, but you should still be alert to the warning signs, such as a change in performance at school, a change in friends, mood swings, secretive behaviour, and a sudden lack of interest in hobbies or activities. If these behavioural changes are coupled with physical symptoms such as constricted pupils, excessive yawning, changes in appetite, and fatigue, your child may be abusing drugs and you will need to act as quickly as you can. Are heroin and opiates the same thing? While heroin comes from the same family of drugs as opiate medications, it has no medical benefit and is an illegal drug. Opiates are prescription drugs used to treat moderate to severe pain, while heroin is an illegal opiate designed to induce feelings of pleasure and contentment. How can you know if a family member is addicted to opiates? If someone you love has been prescribed opioids and you believe that he or she may have a problem, you should be alert to changes in behaviour. If the person continues to take the drug even though it is having obvious negative effects on his or her life, it is likely that he or she has developed an addiction. What does opiates treatment involve? Treatment for opiate addiction involves a detoxification to break the physical cycle of abuse, rehabilitation to tackle the emotional and psychological element of the illness, and aftercare to help with ongoing sobriety maintenance. During treatment, it is likely that a combination of medication, behavioural modification, and holistic therapies will be used. What to do if you are concerned for a loved one? If you believe that someone you love has developed an addiction to opiates, it is important to speak out. Your natural reaction may be to hope that you are wrong because you do not want to raise the subject for fear of upsetting the individual in question. However, unless you speak out and express your concerns, your loved one’s situation is only likely to get worse. You can speak to your doctor about how to get help for your loved one or you can talk to us here at UKAT for advice on how to handle the situation. When to go to rehab for opiate addiction? If you believe that you have developed an addiction to your opiate medication, it is likely that you will need professional help to recover. The sooner you get help, the sooner you can get your life back on track. Accessing a programme of rehabilitation can help you to overcome the underlying issues associated with your illness and improve your chances of a full recovery.